How is 850 armor works? Are they legit or recasts? Also what is the summary of situation on 850 regarding their TFA FOTK? Hopefully they didn’t ditch TFA and went tlj as well.....I am mainly concerned if they are recasts or not however. I wish I could help, but I didn’t even know that they had a panel. They just probably ended up giving the same unfriendly and useless answers as always whether or not in person. So to summarize everything that has happened so far: - Anovos does not make TFA fotk armor anymore, only tlj - Summarizing the posts they made, they will not change anything they did wrong and will not tell you when your order will ship, period. Given this situation, can someone please list on this forum the best vendors (that are not anovos) that are actively taking orders for tfa fotk now, since the other forum post is probably not as aware about the whole situation that is occurring on this forum post? Or can anyone reply to the post (that lists the armor vendors) a request to look into this whole anovos situation and provide a new vendor guide for tfa fotk’s? P.S I’m going to continue holding onto my anovos fotk order permanently though. In the mean time, I need a second kit from another vendor for this year. I still heard absolutely nothing from anovos so far. In regards to the facebook post, I find it extremely odd that only one person has posted such thing. I thought they ship in waves. Also it was right around april fools week. The guy posting it could’ve just had an alpha/beta kit and printed the cover poster. If it was an april fools joke, then I feel it’s absolutely bad taste considering how long everyone has been waiting. If it is real however, how did it happen? It has been bad news for the past 3 years for this kit so any good news feels suspicious at this point. Has there been any new word about the kylo yet? Also for that person that got his kit, did anovos/carrier notify him/her before receiving it? Or did it just show up on the front door one day? It’s already march 21 and that message says “starting in march”. Also I checked the kylo ren ensemble updates and why is it saying completed production on more than one update? The whole timeline for the kylo ren costume is incomprehensable. Like I said before even with the new pics they sent (to most likely everyone and not just those who ordered) everything they said is old news. They can talk about the molds all they want in their next updates and that doesn’t tell us any real indication that that the real fulfillment status has actually progressed anywhere since the end of 2017. As for the kylo ren costume I’m seeing the same thing in how the updates are being handled (each update is just a rewording of the previous update). This means that nothing is being done with these orders since the last 2 years and nobody really knows why. Happy New Year everyone! The shipping calendar is still not updated. And looks like Anovos is still completely silent. Any word on anybody receiving their Kylo Ren costumes at least (despite shipping not updated for that item either), or any Imperial item from Anovos to indicate that Anovos still ships stuff? How about the officer belt? Well, it looks like apparently the update page for the kits crashed, production itself crashed, or the people responsible for doing basic updates and maintenance on the site disappeared into the void. Looking at that page just make things more infuriating to no end https://www.anovos.com/pages/first-order-stormtrooper-standard-kit-updates. And communication to the fulfillment people on chat is extremely helpful and informative as usual. After reviewing that information on the email they sent to us, what they are telling me sounds no different from the update they talked about before, except with pictures this time. They can't even show the factory, machines, molds, anything else to prove this stuff is actually being produced. I'll continue waiting for my order to be fulfilled at some (what I assume) DEFINITE time in the future, even though it is clearly undefined at the moment. In the mean time, can any of you give me a review on Jimmiroquai's kit and if it is worth it? Can someone please also run a double-check on KB props to reconfirm that they are not a recaster? Although after doing some research on KB props, they seem to be having an issue fulfilling orders as well, and anovos has already used up all my allocation for patience on ordering any other kits at this point. Jimmiroquai's fulfillment seems good based on my research, but it seems alot of people are still skeptical about his kits. Does anyone have an update on Jimmiroquai's kits and if they are ok as an anovos substitute if you need a functional FOTK costume under a time constraint? What are the unanimous negatives about Jimmi's kit that currently linger on? Also, is there any way to complete a transaction with Jimmiroquai through Paypal? P.S. I'm not just going to have my helmet and soft goods collect dust while waiting for my kit to arrive of for another agonizing 365 days just for this ridiculous waiting game this time around, so I'm going to build the rest of the costume from elsewhere as a temporary substitute for this anovos one while I wait. Sorry about the rant. Ok thanks so much. Also I noticed how the message says "aimed completion before Celebration 2019." I really do not mean to be skeptical, but every time new delay gets sent, it is always with "aimed", or "anticipated", or any other combination of guestimate words that wouldn't require them to obligate to what they say. I chatted with them through their website multiple times and those words are nothing new to me. Also, it alarms me that they talked about doing the steel molds with us on one of the delay updates way before they did this one. And besides pictures to prove that these pieces are actually being made to some unknown capacity, I'm having difficulty finding the difference between this update and the one they posted a long time ago. What I am saying is, has Anovos actually been working on manufacturing this kit, or is this just a more detailed version of the same update we got before? I understand the complexity in making these kits with the steel molds, but that doesn't justify the allowance of infinite time. No such business exists and is allowed to fulfill their orders "whenever they get to it", except this one apparently. Since 2016, a solid deadline has never been set nor stated, and a worst-case scenario has never been projected or expressed. All orders of anything on this planet have a solid deadline, not as many delays at their discretion. And when delays like that happen in real life, then customers always get compensated (by $$). For this particular order, neither of those are happening either. Even with all the various armorers and vendors I've looked up and heard stories from, the latest fulfillment time I ever heard was 6 months, and nothing like this. For this Anovos vendor, I'm really sorry but I truly feel something is not right, at least with this specific order. Sure all other orders got fulfilled by Anovos for other products before. But whoever is in charge of this particular order, something doesn't seem right. And I haven't got any real reason from them for the delay on updating the shipping calendar. Also, for some unknown reason, their shipping calendar on their website still hasn't been updated to reflect this announcement that they sent to all of us. Literally nothing has been updated since June officially, and even this doesn't usually happen on Anovos. Can some expert on this matter please investigate into this situation further? I am very concerned with the particular situation for this order from them. And I think for this particular order, someone needs to have a special look into it. Thanks so much! P.S. If possible, can anyone theorize what possible scenario out there would allow these items, especially the standard kit, to get shipped before the end of this year? Is there any other way to confirm if the kits are being made? Where is all the production pictures? How can we confirm actual production? These kits and ensembles will be fulfilled right? Is there any word from them yet? Well, I really want to go trooping with my kit before the end of this trooping year, and now it is way too close for comfort for me to rely on getting the kit to assemble and troop with it this year. I really wanted to troop last year with the kit when they promised by fall 2017 and now 3 additional season delays and counting have passed. 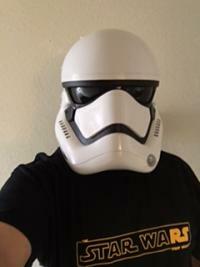 Should I just forget about waiting to troop with the anovos FOTK for this trooping year, wait for my pre order to arrive with 10+ more season delays, and just go ahead with my trooping with my ESB TK gear like I did before? Or is it reasonable to wait for the FOTK kit to arrive on time before the end of the trooping year this time? Any suggestions? P.S I ordered the standard fotk kit. I assume all the premier kits and ensembles would ship out first before the standard kits are even considered?